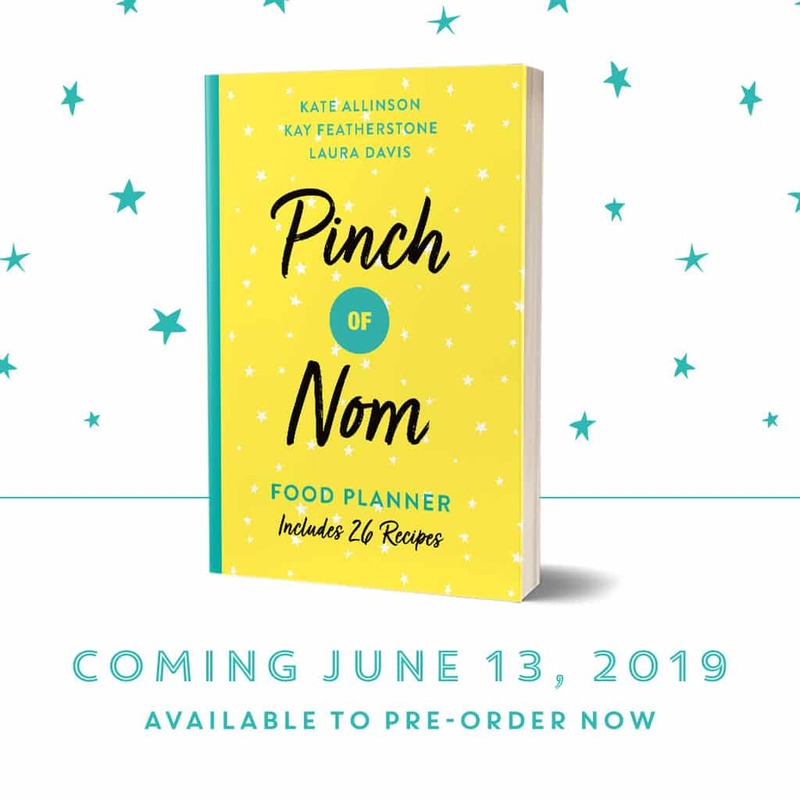 With summer on the way (I live in endless hope…), it can be difficult to avoid all the delicious desserts that come with it. 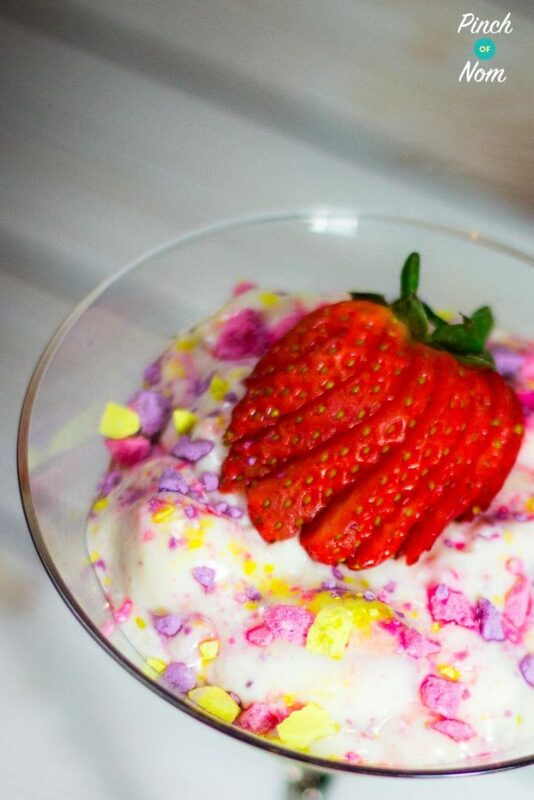 This Low Syn Unicorn Eton Mess is so quick and easy and won’t break the Syn bank! 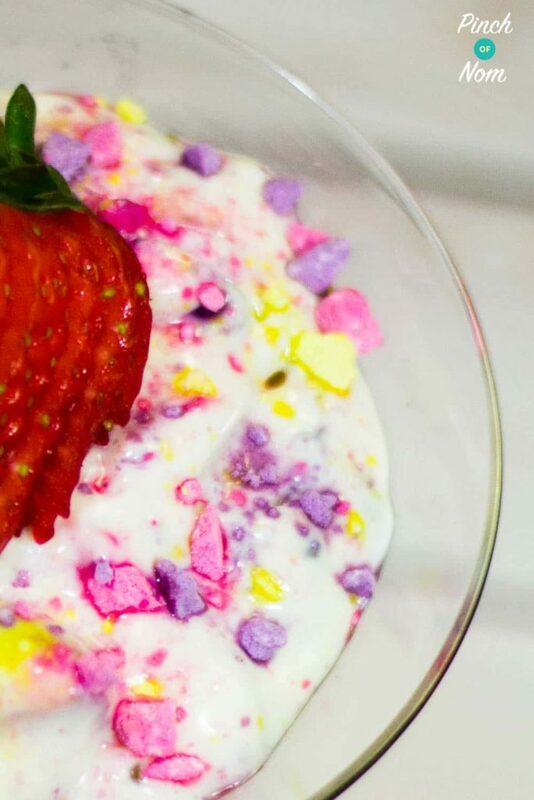 All things unicorn are the in thing; this Low Syn Unicorn Eton Mess dessert is perfect to make in big quantities if you are entertaining and is just so colourful! It’s really important that once you have folded the Macaringues that you serve it straight away – the Macaringues are so light and crisp that they don’t take long to dissolve in the mixture. If you want to make this in advance, get to the point before you add the Macaringues and just add them before serving. 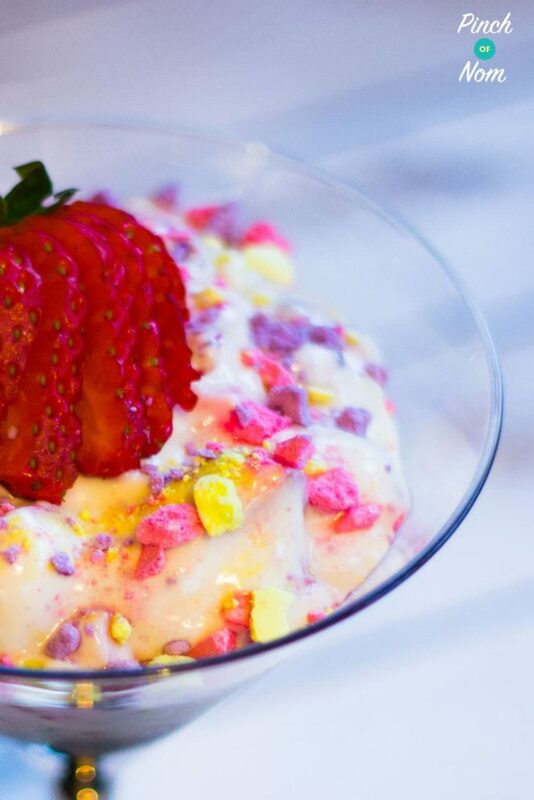 This Low Syn Unicorn Eton Mess recipe is easily adaptable – use a different syn free yoghurt or change the fruit. It can suit all tastes! 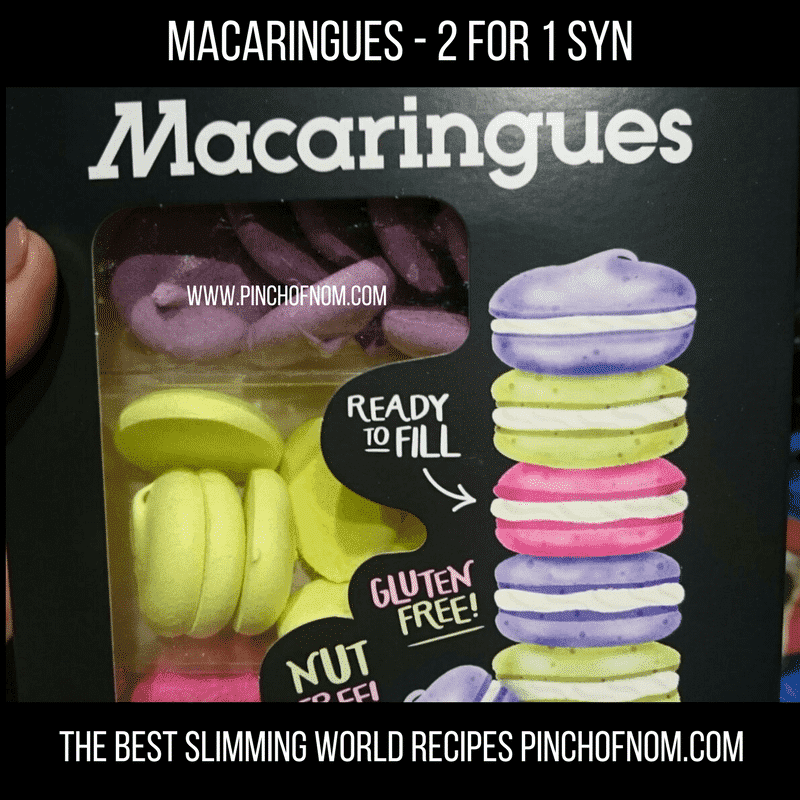 You can get the Macaringues from Tesco or Morrisons for about £3. 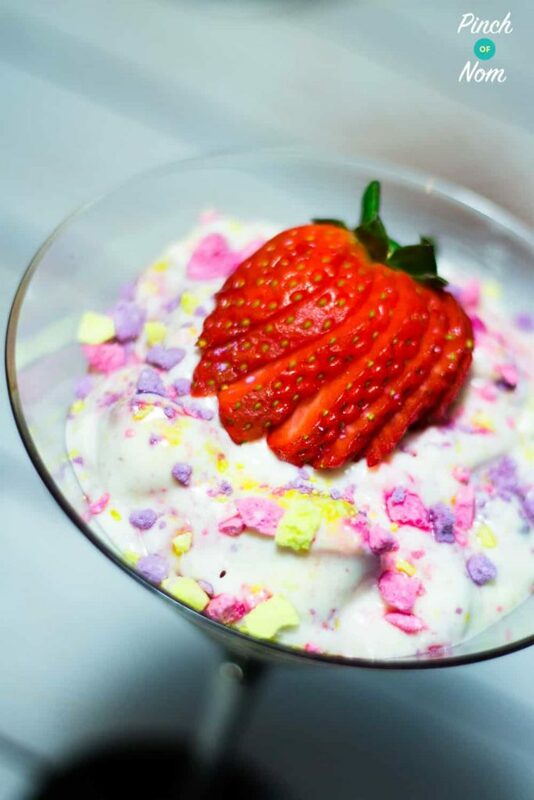 Like this Low Syn Unicorn Eton Mess and want some more sweet treat ideas? Add the yoghurt and granulated sweetener to a large mixing bowl. Chop the strawberries into bite sized pieces and add to the yoghurt. Mix in the vanilla extract. Add the juice and zest of the lemon. Choosing 6 different coloured Macaringues, crush into the yoghurt and fruit and carefully mix - do not over mix as the Macaringes are fragile and will break up easily. Serve immediately in individual dishes - crush the remaining Macaringues on top and garnish with a whole strawberry. 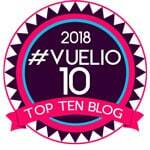 Can you use any yoghurt flavour? 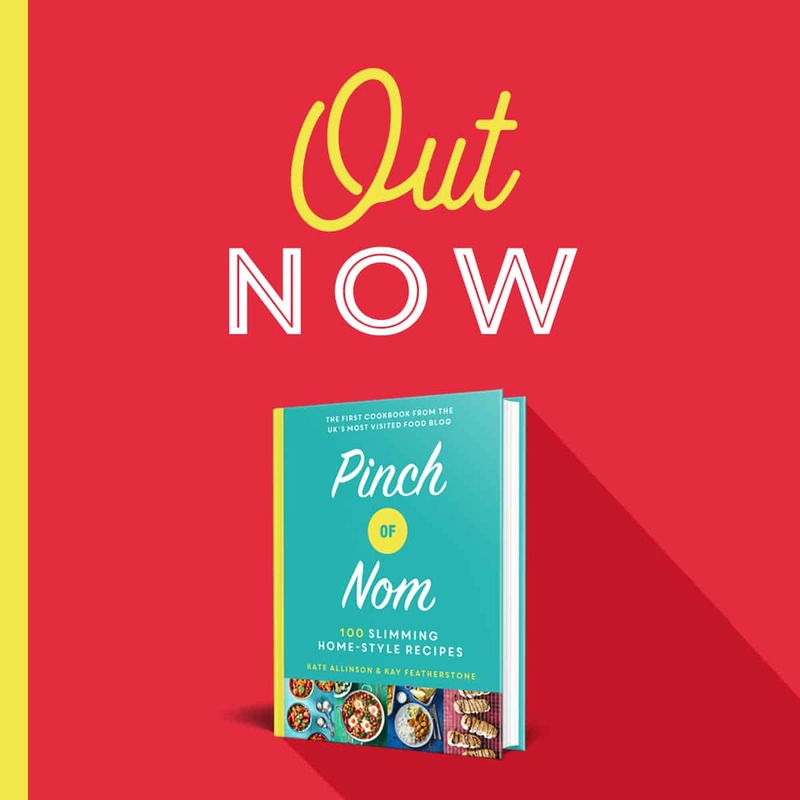 You have this under vegetarian recipes but is Mullerlight Not vegetarian ? 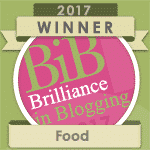 I’ve removed the vegetarian tag, so it should no longer appear under the vegetarian recipes section. Obviously you can substitute Muller Light yogurts for others that don’t contain gelatine, as it’s certainly worth making!